With the first day of school right around the corner it's time to get ready for all the after-school snacks. 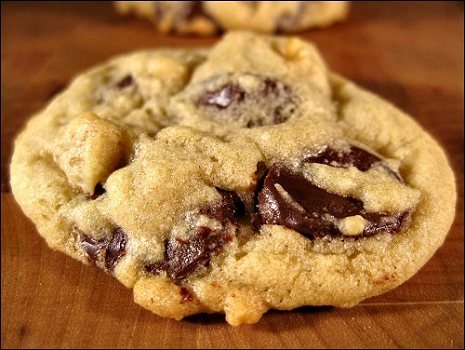 Nothing screams the perfect after-school snack like George Duran's recipe for Gooey Chewy Chocolate Chip Cookies courtesy of COOKINA. This super delicious, recipe leave you with three dozen of the softest and gooiest chocolate chip cookies that will be sure to fill all those hungry mouths on play dates. The kids won't be able to stop themselves from indulging in these cookies which will allow you to enjoy a few minutes of peace and quiet. In a small bowl, whisk together the flour, corn starch and baking soda, set aside. In the bowl of an electric mixer fitted with the paddle attachment, combine the butter with both sugars. Beat on medium speed until light and fluffy. Add salt, vanilla and egg until just combined. Gently fold in dry ingredients and finally chocolate chips. Drop tablespoon-size balls of dough about 2 inches apart on baking sheets lined with COOKINA® Cuisine. Bake 8-10 minutes until it just starts to brown and place on a wire rack to cook for at least 5 minutes before serving. The COOKINA Cuisine Reusable Cooking Sheet is an innovative product that creates a nonstick, easy-to-clean and healthy cooking & baking experience. Ideal for using as an alternative to aluminum foil, parchment and wax paper, users can place the cooking sheet on a baking tray or pan to bake recipes without having to use oil of needing to clean the tray and oven afterwards. $12.99 / for more information, visit www.cookina.co.